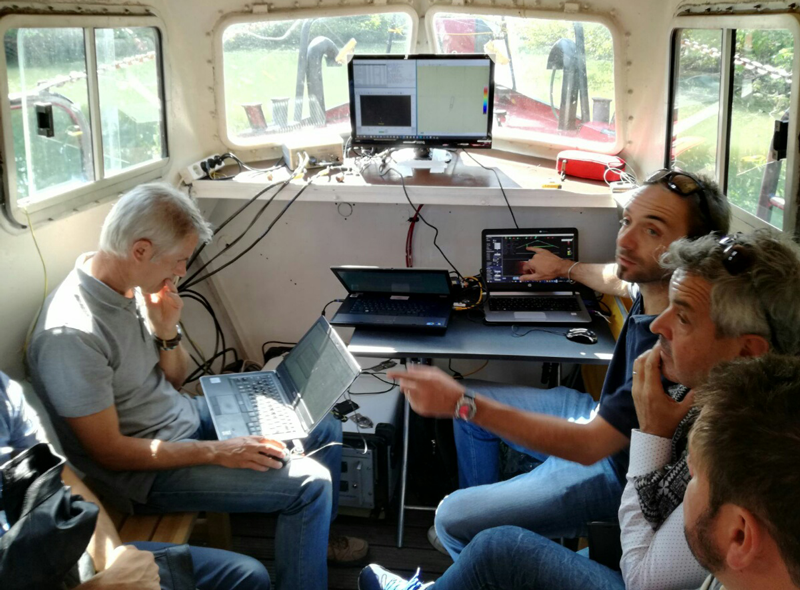 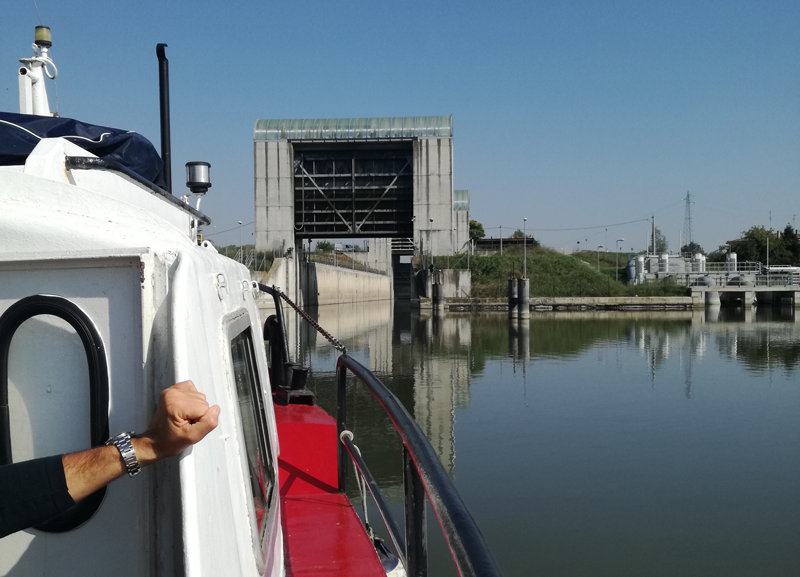 On board the Battello Lupo, a small river boat capable of hosting up to 12 people, our staff is presenting some of the most interesting systems on the market of ocean technology, in order to show all their features and potential applications. 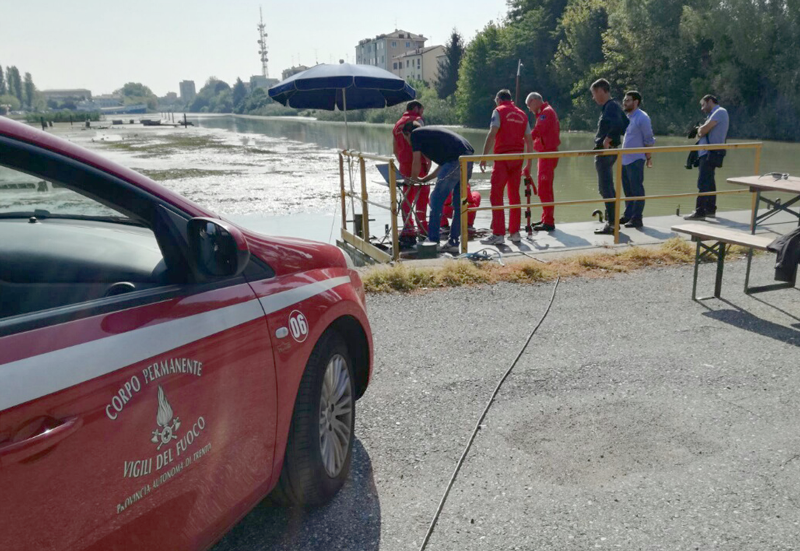 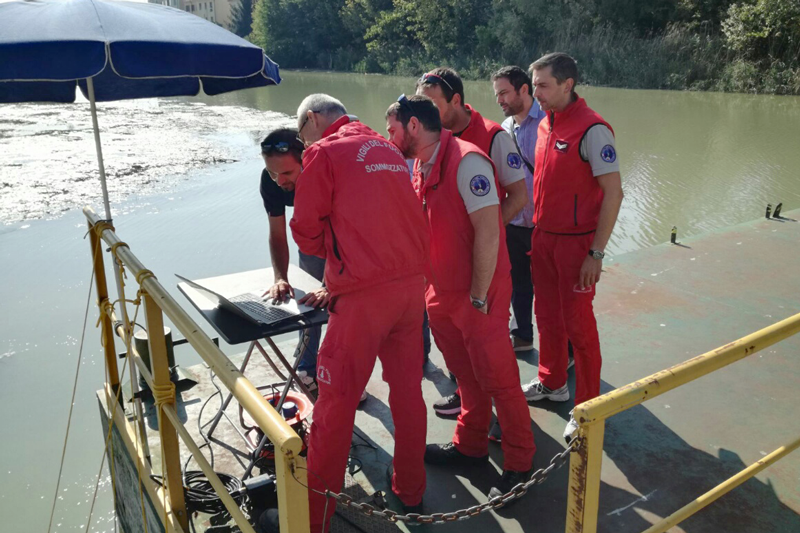 In conditions of shallow and murky waters, our attendees (among which some representatives of the Italian Navy, the Environmental Protection Agency, Fire Departments and private Companies) are sailing the river Po and discovering all the characteristics of the presented systems: a NORBIT iWBMS Multibeam, a ECHOES 10000 SubBottom Profiler IXblue and a SoundMetric ARIS Imaging Sonar. 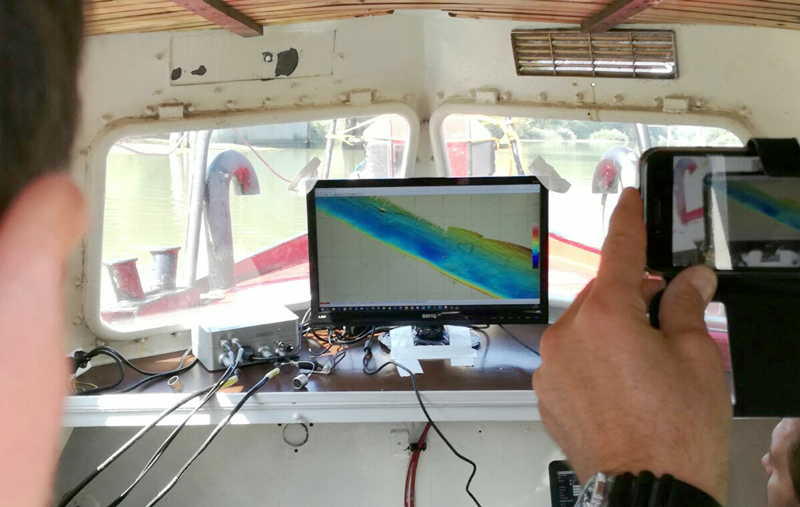  The data are acquired and interpreted through QINSY Software. 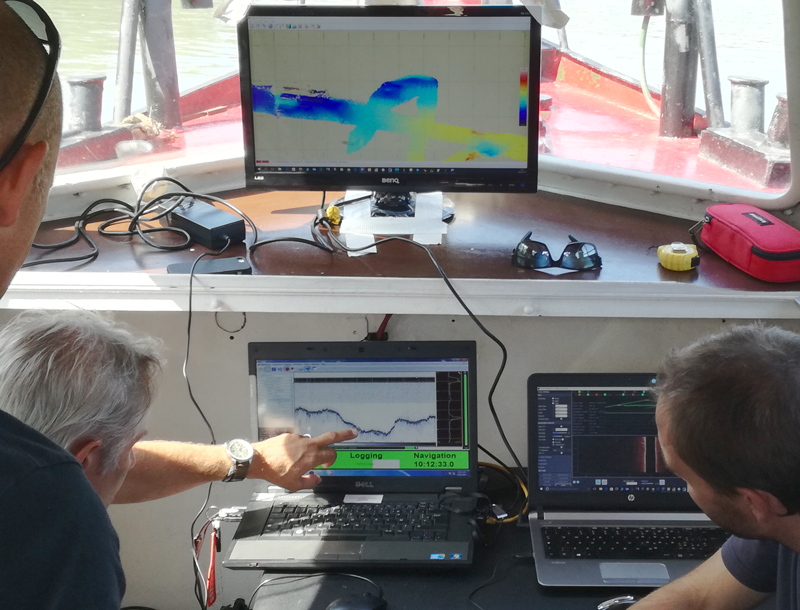 Thanks to their small dimensions and lightweights, all these systems can be installed not only on vessels but also on ROVS, allowing to easily catch images of high quality at any depth and in any condition.